If you are looking for a kindergarten, playschool, childcare where quality and safety is a top concern then this site is for you. We provide students with academic enrichment opportunities as well as extracurricular activities to help them achieve their full potential. Tadika Aman Ceria and Playschool were established in 1983, dedicated to high quality education and care with a strong record of excellence. We make sure that our students get the best education that they can. We incorporate STEAM ( science, technology, engineering, art, mathematics) into our program to equip students with 21st century competencies. Encouraging the development of creative problem-solving skills, critical thinking, inventive thinking, giving them more well-rounded education. STEAM project-based learning gives students a chance to experience trial and error, figuring out how to 'think outside the box' to solve problem in more creative ways. Students learn to collaborate and help each other to use their different strengths and skills. Watching the growth of our students have been amazing. Our teachers are well trained in early childhood education, competent, caring, every child is assured of personal care and attention. Small class sizes, fostering wonderful interaction between students and teachers. In partnership with our parents and families, we prepare students to be respectful, caring, contributing citizens who will lead us into the future! Welcome to our Open Week. Looking forward to meeting you! 2020 Registration: Open to Kindergarten children 2 -6 years old. Prospective parents are advised to register early to reserve a place for your child. Our classes are small, limited places only. Your child is assured of personal care and attention. Our plan for our first child Batrisyia was to initially enroll her into one of the popular and formatted franchised preschools in KL. It seemed at the time the urban middle class were rushing to get their children to start reading as soon as age 4 through regimented teaching methodology adopted by those franchises. We can be glad today that our plan did not happen as crafted. We sent her to Tadika Aman Ceria at age 3 with the intention to let her interact with other kids of her age before we would enroll her into a more mainstream preschool the following year. That was when we started to discover a new perspective to a child's learning development: intelligence is multidimensional and it goes beyond the lingual and arithmetic abilities that conventional measurements seem to emphasize on in our education systems back then. Another fundamental aspect of a child development is positive character and confidence building, the basic ingredient for ethical conduct and leadership later on in life. We also began to understand especially for Batrisyia that parents should not force learning onto their children and hope to make them smart. We found out that the best approach would be to motivate her to learn through fun discovery rather than to impose stressful expectation. 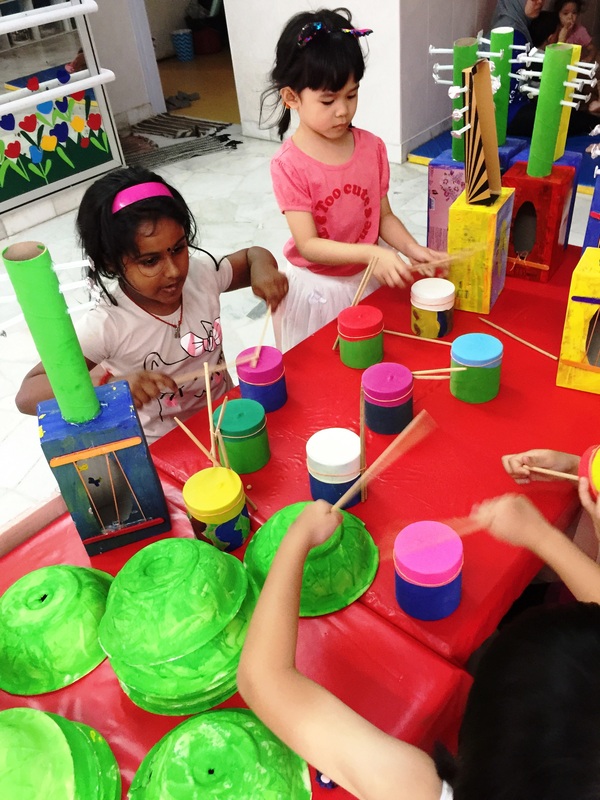 Tadika Aman Ceria provides exactly the environment needed for a child to view learning as a journey to exploring knowledge and to develop preliminary leadership competencies. And for that it wasn't hard for us to let her continue there until she completes the whole preschool period, and to enroll her sisters thereafter. 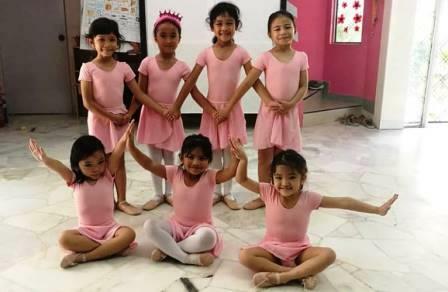 We are happy to see how Batrisyia has changed from a shy 3-year old to a confident 6-year old child who can speak on stage, dance, interact, converse, read, write and have good basics in maths. And finally the value that we would hope to nurture a child in the current Malaysian sophisticated society: social integration. When asked about the background of her friends, Batrisyia has never distinguished them as Malay, Chinese or Indian. Our kids are colour blind and eventually us adult could learn a lot from them. 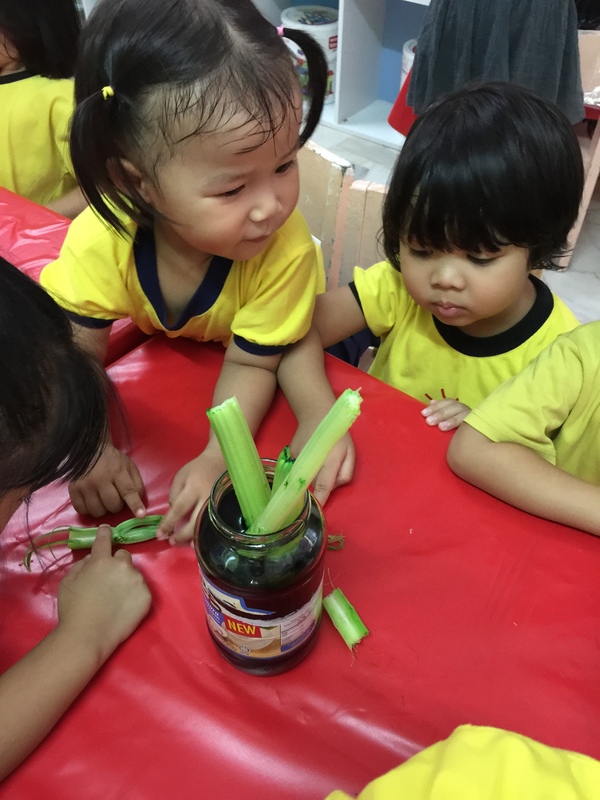 How Children Benefit from Aman Ceria and Playschool? School for Tomorrow's Leaders: We believe in the potential of every child. Being confident, competent, independent, active learners, able to stand out as leaders and problem solvers in any groups. 21st-Century Learners: In this globally and digitally interconnected world, your children need new skills and knowledge to succeed. Early STEM and STEAM education is integrated into our Adventure Learning Program, to encourage children be actively engaged in their own learning. STEM Education stands for Science, Technology, Engineering and Math. S.T.E.A.M. is Science, Technology, Engineering, Art, Math. Both STEM & STEAM lessons are well rounded, project and inquiry based, with a focus on interdisciplinary learning ensures academic quality. 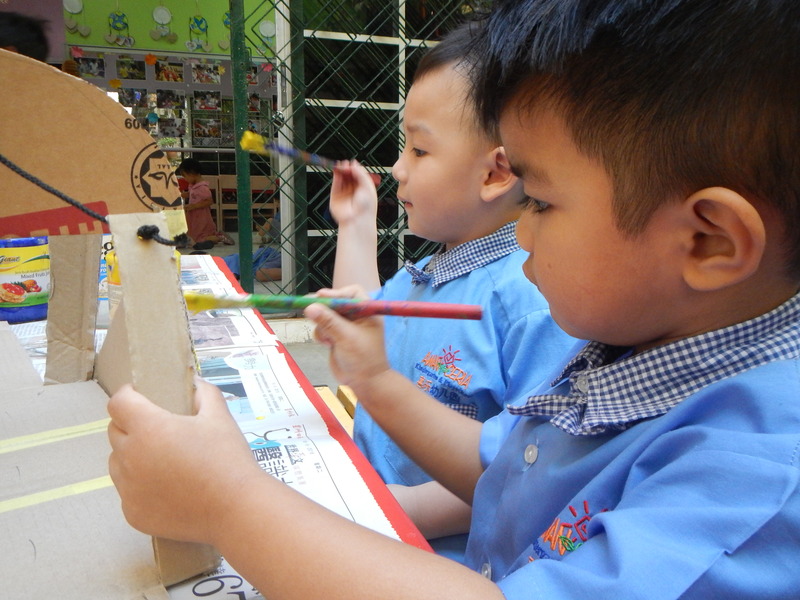 Integrated & Comprehensive Curriculum incorporates creativity, critical thinking, problem-solving, communication skills and the best practices in preschool education. The name Aman Ceria is chosen to reflect our goal of nurturing students in a joyful and protected surroundings. So they can grow to their full potential, equip with positive attitudes as well as effective learning strategies to help them excel in all areas of their life. 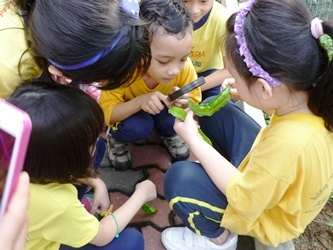 At Aman Ceria you will find happy, cheerful children playing and learning alongside with friends. Active Project & Brian-Based Learning to increase academic achievement. Achieve excellence in Childhood Education and Child-Care Solution! 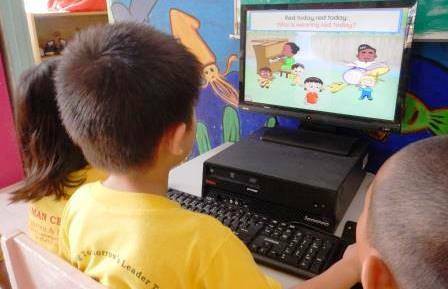 Strong foundation in Language and Literacy Skills - English, Mandarin, Bahasa Malaysia, Math, Multimedia, Character Development, Science, Social Studies, Physical Education. Character education is integrated into every aspect of the curriculum. Children develop positive attitudes, strong moral values, and good social skills. Comprehensive active learning program has proven to be effective. Children excel academically, they are confident, competent, independent and successful learners. We compile methodologies and research to strengthen foundational skills- reading, writing, numeracy, communication, extend children's learning experiences and development. 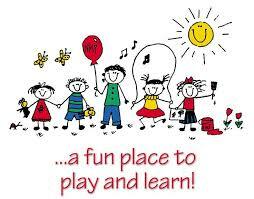 Socialize, make friends, share experiences, work and play cooperatively and develop friendships. Develop many skills- physical, social, intellectual, language, communication, creativity, critical thinking and problem solving. Develop confidence in their abilities to learn while interacting with other children and adults. 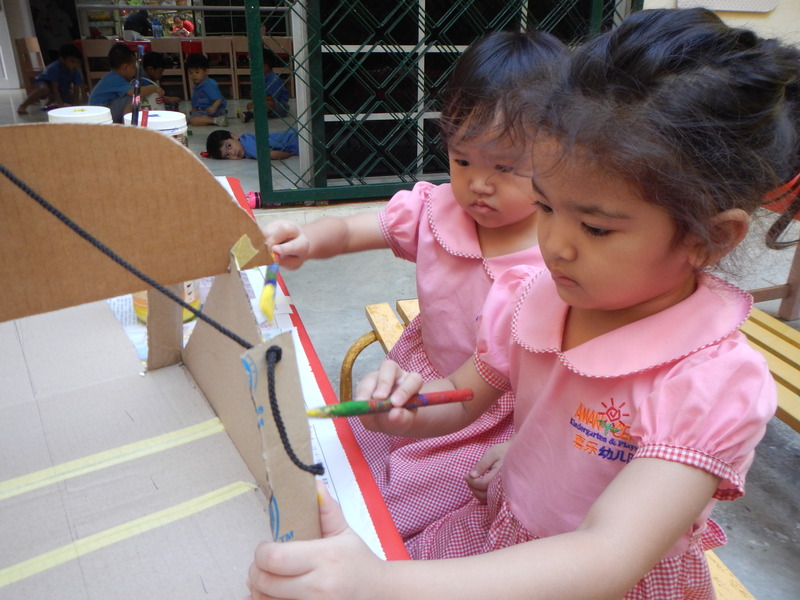 Play is one of the most important activities for the development of language - listening, speaking, reading and writing. When children are having fun and real-life experiences, they are REALLY learning. 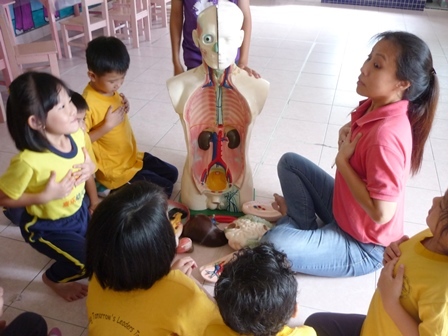 Children find school experience and lessons stimulating, challenging and enjoyable. 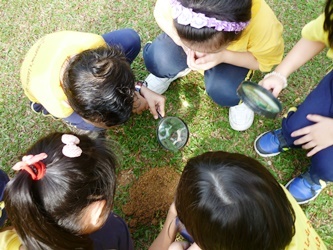 They are more aware of their surroundings through their senses as they explore, investigate, and discover. 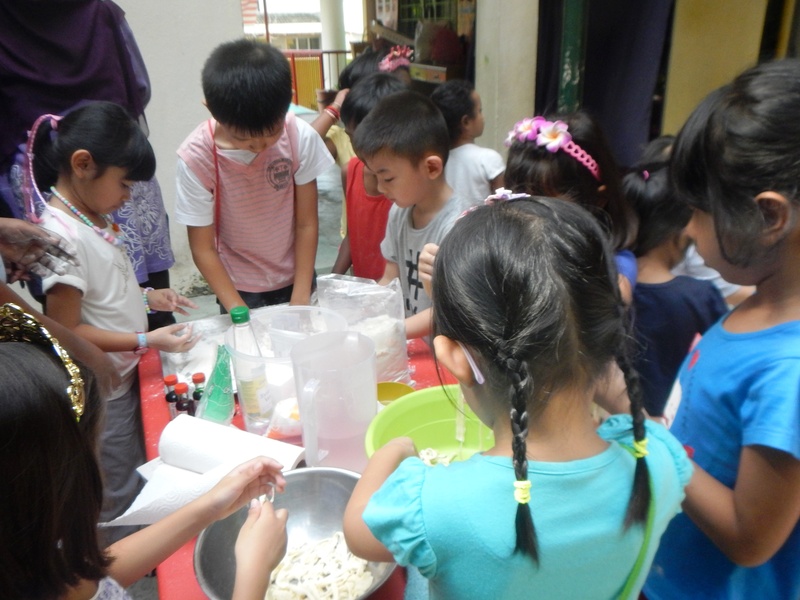 Aman Ceria nurtures curiosity and a love for learning that stays with the students through life. We are proud to say that all 3 out of our 4 children were students of Tadika Aman Ceria (TAC). Two of them now are in Sekolah Rendah doing exceptionally well. We are happy to share here why we were convinced to choose TAC over other pre-formatted pre-school programs. TAC is not another usual education factory to prepare kids the real school. 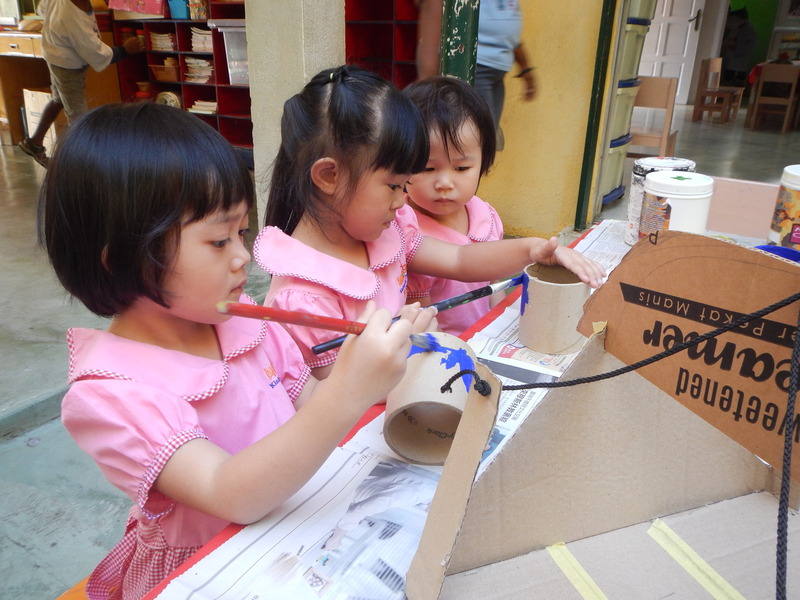 It is actually an environment for children to discover the first steps towards real life. Here the goals are not to make sure kids can start reading and be good at maths early by making them living through a regime of structured learning. It is more to make them making a non-disruptive transition from cosy home play life to passionate learning and the results are exactly the same if not better than structured classroom regime. 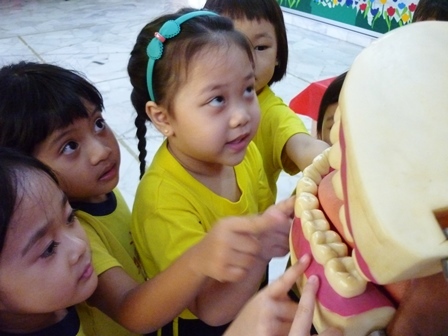 The teachers here are carefully selected and they nurture children with sincere love and care. 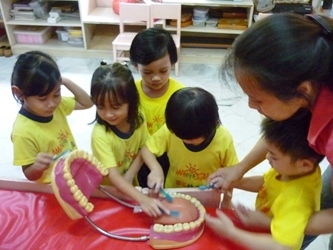 We have enrolled our 4th child here this year 2019 and as an endorsement that for us TAC is the best pre-school in Ulu Klang, if not in KL. Thank you TAC for helping us nurture future leaders for the nation. very tolerant and that has changed my son's behaviour alot. I'm glad that Tadika Aman Ceria emphasis and focus more on students' EQ (moral values, feelings & attitudes) rather than result orientated system. Education. I'm happy to see my son's improvement in self-control, manners and attitudes. Thank you teachers for all of your support, encouragement and patience in Izz's learning journey and most important thing, happy to be there with the other students. What we like about Tadika Aman Ceria is that the school has play-project based learning, that makes every child happy to go to school. 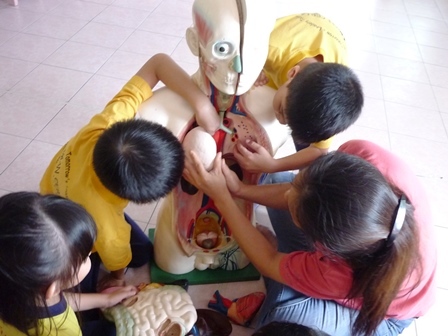 The teachers have helped my two children Zhi Yang 6 years old and his younger brother Zhi Yie in their educational, emotional and spiritual growth. My eldest daughter is now in Primary. She was a former student of T.A.C. She is doing well in school.